I read/review approximately 200 books a year but very few of them are as simply beautiful as What Elephants Know, by Eric Dinerstein. Nandu is a child, abandoned in the jungle of the Borderlands of Nepal and watched over by a pack of wild dogs. He is found and raised by Subba-sahib, the head of one of the King’s elephant stables, and by Devi Kali – a protective, affectionate female elephant. The story follows Nandu as rises to be one of the best elephant guides, despite his very young age. When Subba-sahib sends him away to school he learns how much of an outsider he really is, despite a wealth of knowledge of the natural world. And when the King announces that He can no longer support multiple elephant stables and that the Borderlands stable where Nandu has grown up will be shut down in a years time, Nandu and h=is stable family must convince the King of another plan, or face a bleak future. This story of a young man trying to find his place in the world, located in a part of the world that is so completely foreign to most of us, is tremendously powerful because the nature of humans and our desire to find our place in the world resonates across territorial borders and transcends class status. It is a timeless tale and will likely be read for many generations to come (or it should, at least). There are a great many similarities to Rudyard Kipling’s The Jungle Book, and Dinerstein recognizes this and pays homage to it by bringing the work directly into his story, which is quite wise – letting the reader know he is treading on some sacred literary ground. Part of what is so powerful about this book is the nature of the first person writing. The story is told from Nandu’s perspective and it spends a lot of time in places that are important to him and skips over things that he might naturally ignore to get to a different part of his story. What I mean is: this reads perfectly like a personal memoir. More than I once, I will admit, I looked up the book on the internet, while reading it, to verify that this was a work of fiction. I truly expected (wanted?) it to be a true story. Nandu and the people and animals in his life are so well-defined that I still, as I write this, wouldn’t be at all surprised to attend a book signing and meet everyone described in the book. It is only May (of 2016) as I write this and I’ve read some very good books this year, but this one rises to the top. This should become recommended reading for every fifth-grader and up for years to come. This should be a clear favorite for the coveted Newbery Award (though I’ve often been disappointed with the award in the past decade, so it will come as no surprise to me if a work as wonderful as this is over-looked). This is a great summer read for vacationers and if you miss it this summer, enjoy it this fall! Looking for a good book? 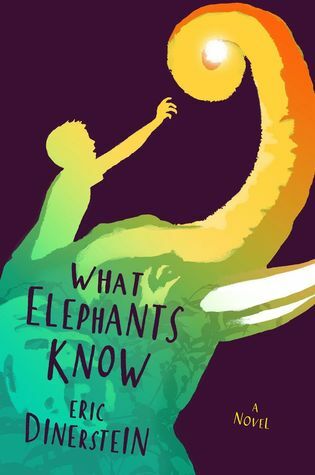 Do yourself a favor and read Eric Dinerstein’s What Elephants Know, then buy a second copy to give to a friend (because you won’t want to give yours away).